The Woman's Hospital of Texas in Houston delivers around 11,000 babies each year, more than any other hospital in the state. As its CEO, a critical goal for Ashley McClellan is to ensure all the mothers achieve the best health outcomes. McClellan's efforts to improve outcomes as the leader of the HCA hospital contributed to her being named the winner of the American College of Healthcare Executives' Robert S. Hudgens Memorial Award for Young Healthcare Executive of the Year. Her work in that regard has become more urgent following a study indicating that maternal mortality in Texas rose dramatically for new mothers from 2011 through 2015. Under her leadership, the 397-bed hospital participates in internal and external programs to keep mothers and their newborns healthier. Woman's Hospital partners with the not-for-profit March of Dimes to support moms who give birth prematurely. The facility connects them with services like personalized nutritional counseling and assistance with medical complications after pregnancy. Each year, the American College of Healthcare Executives recognizes industry leaders for their work in transforming care delivery at organizational, local and national levels. This year's award winners--Richard Cordova, Diana Smalley and Ashley McClellan--will be honored during the ACHE Congress on Healthcare Leadership, March 26-29 in Chicago. Read more about this year's winners. A weekly program that connects moms to each other for social support is offered as well. Complimentary lunches are provided by the hospital where women can share the struggles and joys of motherhood. “Because we take care of more moms and babies than anyone else in this state, we have a great opportunity to improve women's health and children's health statewide as well as nationally,” McClellan said. Newborn care is also a core mission at the Woman's Hospital. The facility's 146-bed neonatal intensive-care unit is one of the largest in the country. “Our quality in that space really sets us apart,” McClellan said. McClellan's passion for high-quality patient care was born from an atypical experience for a hospital CEO: when she worked as an interpreter. At Texas Scottish Rite Hospital for Children in Dallas, the job of translating Spanish taught her important lessons about patient experience and clinical workflows that she has applied to her role at Woman's Hospital, where she's been CEO since 2015. “Now looking back as a leader, having the ability to learn healthcare operations at the front lines—seeing what was important to the staff, physicians and the patient, it was a perspective that I wouldn't have been able to get otherwise if I hadn't been in that role,” she said. During her time as an interpreter, McClellan became interested in a career in healthcare leadership. 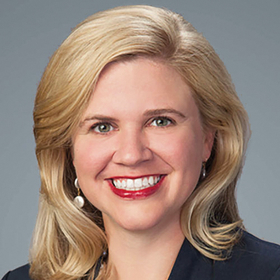 In 2006, she was accepted to participate in HCA's Chief Operating Officer Development Program, where she honed her leadership skills through projects and learning sessions. Soon after the program ended, she landed a gig as COO of HCA's Medical Center of Lewisville (Texas), where she was eventually promoted to CEO.